Needing some Wyandotte apparel? Low on Christmas gifts? Gearing up for winter? 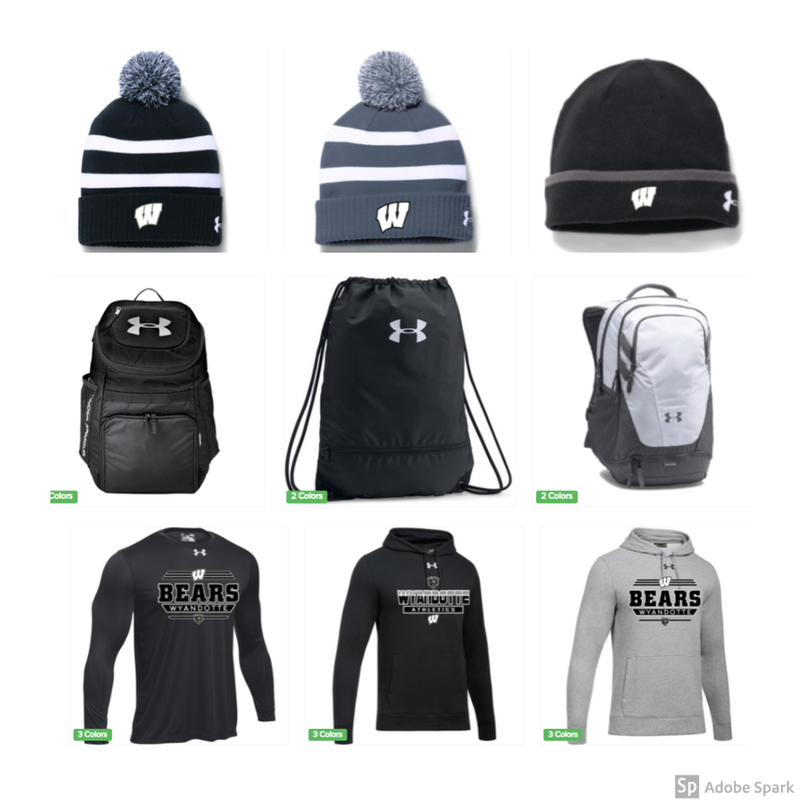 We have a fix for you, visit the Wyandotte Athletics Online Store. The store will be open NOW until December 15, 2018. Plenty of items to choose from in youth, women's, and men's styles. For winter check out the head wear and socks! Click on the link below to get started on your order! All orders will be PROCESSED on the store close date. ESTIMATE 3-4 WEEKS FOR ORDERS TO BE DELIVERED. PICK UP ORDERS: MAY BE PICKED UP AT SPORTS LOCKER or WYANDOTTE HIGH SCHOOL. SHIPPED ORDERS: WILL BE SHIPPED DIRECTLY TO YOU AT THE ADDRESS YOU PROVIDE.